Two weekends ago, I was once again in my happy place, Portland, Oregon. 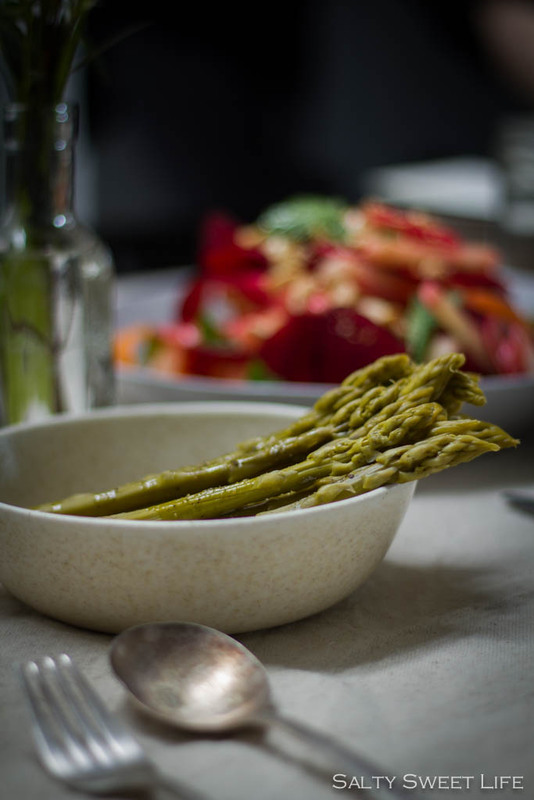 I found the perfect excuse to go: a food photography and styling workshop taught by two Portland-based blogger/photographers, Eva Kosmas-Flores of Adventures in Cooking and Christiann Koepke of Portland Fresh. I virtually met both of these ladies through their Instagram accounts (@evakosmasflores and @portlandfresh), instantly falling in love with their beautifully moody photographs. So much so, that when they announced the Portland photography workshop in February, I signed up immediately without giving it a second thought. No joke, this is where I caught the bus. Too gorgeous for words! The morning of the workshop I caught the number 17 bus from our Airbnb to Tillamook Station, an event space nestled in a pre-war building in the heart of the Albina Industrial District. I was so nervous that I missed my stop and had to backtrack a couple of blocks. I breathed a sigh of relief as I rounded the corner and saw the bright yellow door of the building and other similarly nervous people laden with camera bags heading in the same direction. 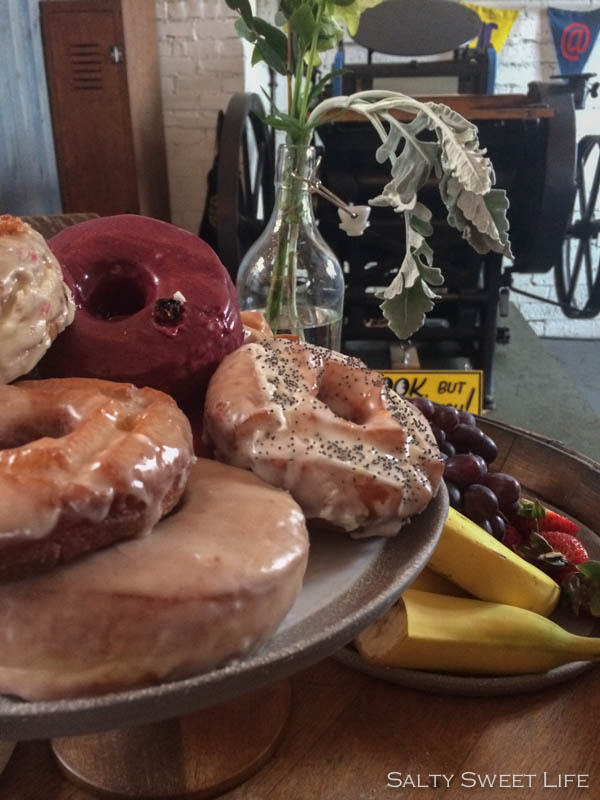 I tried to drink in everything as I stepped through the doors: the high ceilings above white brick walls, the amazingly soft, natural light, the doughnuts and pastries and cold-brew coffee, fresh fruit, tea. 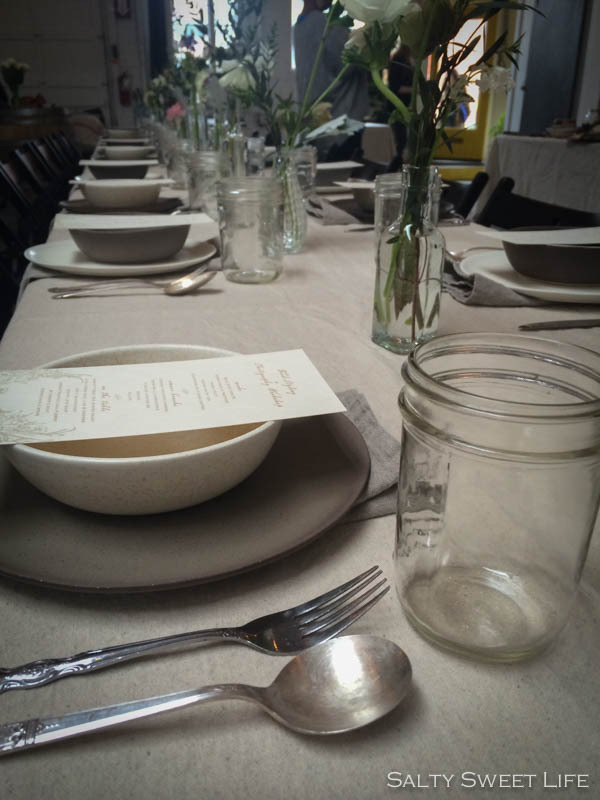 Pretty place settings were arranged on a long communal table. They thought of everything. What’s really special, though, was that Eva and Christiann were exactly the way they come across online–welcoming, warm, consummate hostesses, and so generous with their time and knowledge. 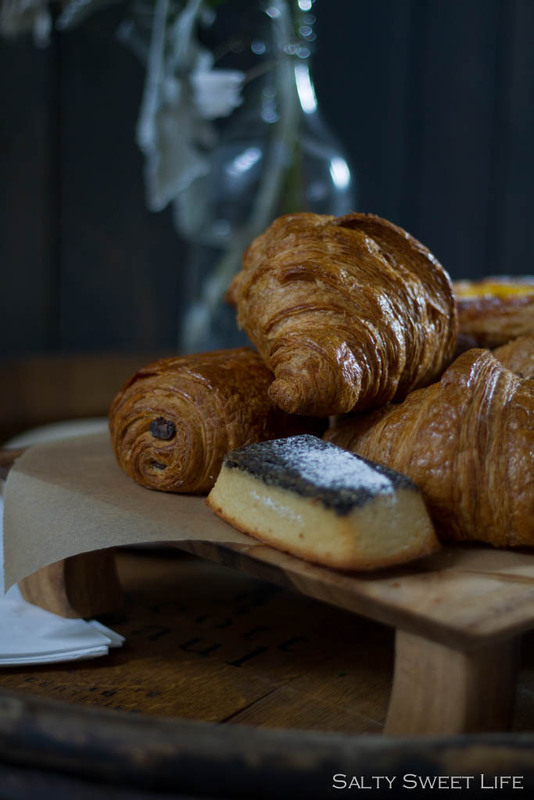 After we settled in with our pastries, Eva began the workshop with basic camera lessons. This was especially helpful for me since I have recently begun to shoot on manual mode. I won’t go into all the nitty gritty of photography in this post, but what was most helpful to me was learning how to manually focus my camera. Until the workshop, I used the auto-focus on my camera because I have never trusted my ability to manually focus due to my very poor eyesight. How poor, you might ask? Remember poor Velma on Scooby-Doo? The way she would fumble around like a blind person when she would lose her glasses? That’s me in a nutshell. So, the lesson on how to zoom in on the focus point using the camera’s monitor, then focus, was an eye opener for me. The second biggest lesson I learned was about using a small aperture and low ISO to produce the soft, romantic shots that Eva and Christianne are famous for. Another thing I learned was how beautiful it can be to include a human element in food photography. 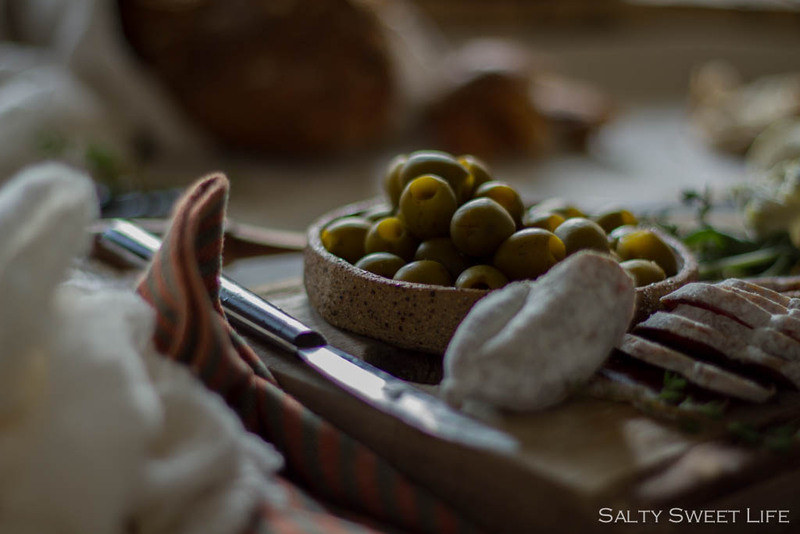 After the camera lesson, we began shooting the cheese and charcuterie, olives, breads and pastries. 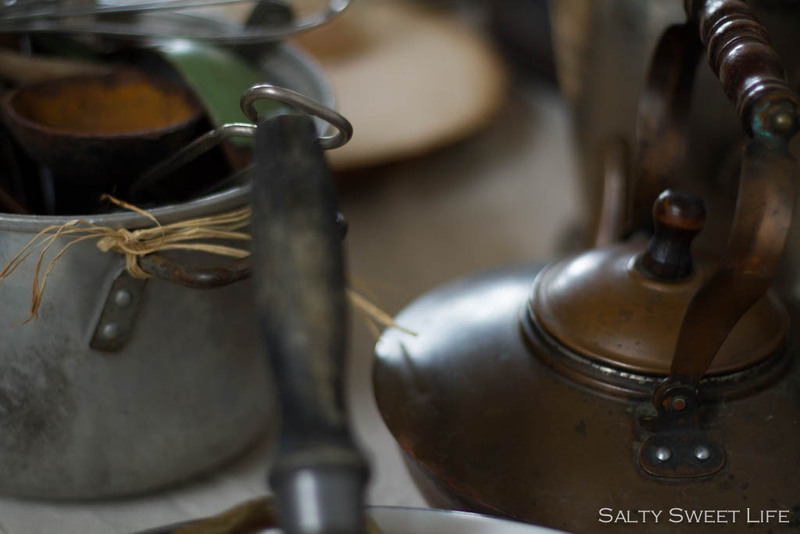 We were free to utilize the prop collection: antique teapots, well-worn pots, linens, carved wooden spoons and serving boards. 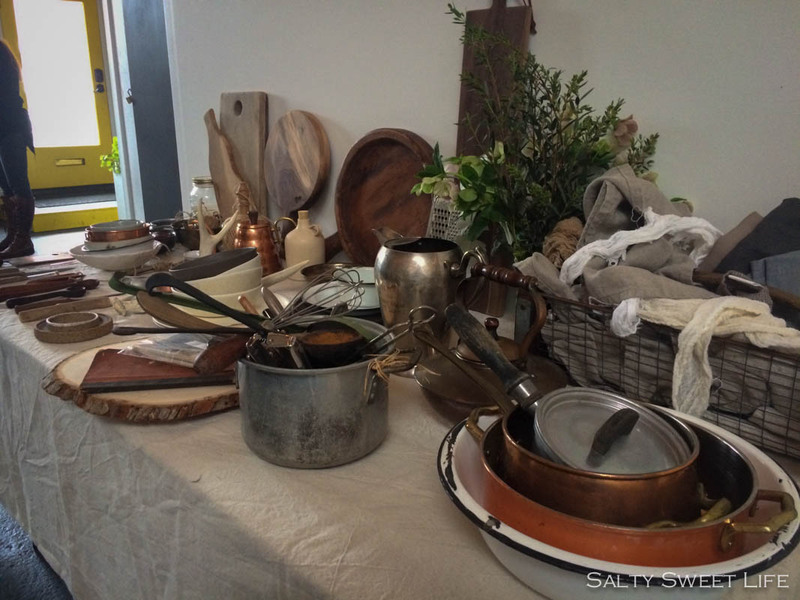 There were so many beautiful items to choose from and wonderful textures to shoot. 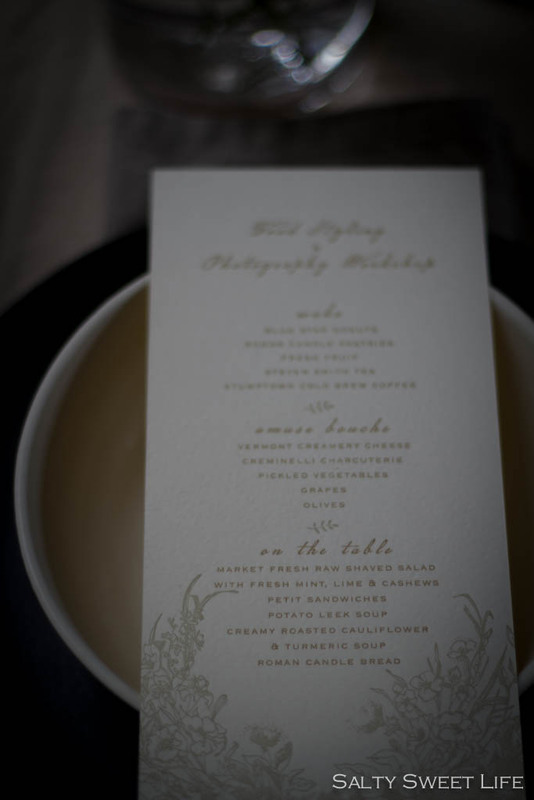 I really loved the linens which were provided in part by The Modern Proper and from Eva’s personal collection. I think my favorite piece of linen was the tangled piece of burlap that had been washed and (accidentally) dried in the dryer, forming a fluid, free-form swath of fabric that could be placed in the scene for an added layer of texture. I have always had the most difficult time choosing linens for my photos, but having a neutral palette to work with made so much sense to me. I have bought so many props and linens over the years that I haven’t used simply because they are too busy or too bright. 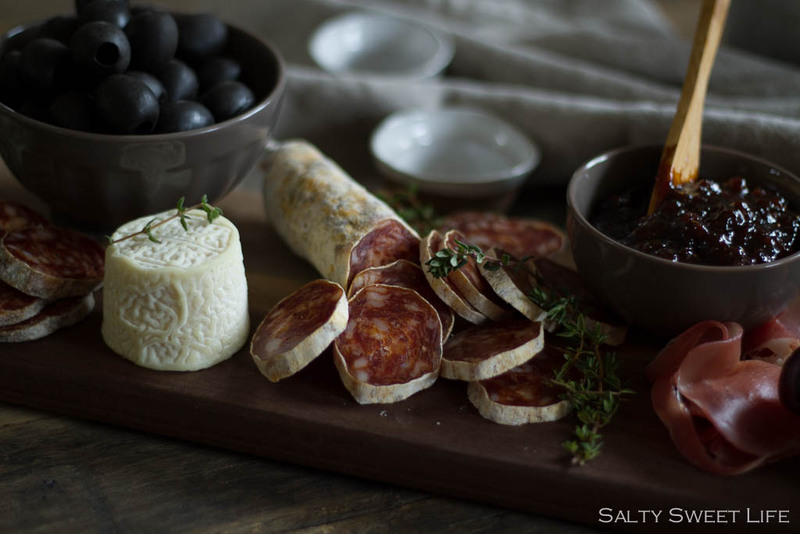 Neutral colors allow the food to be the star. 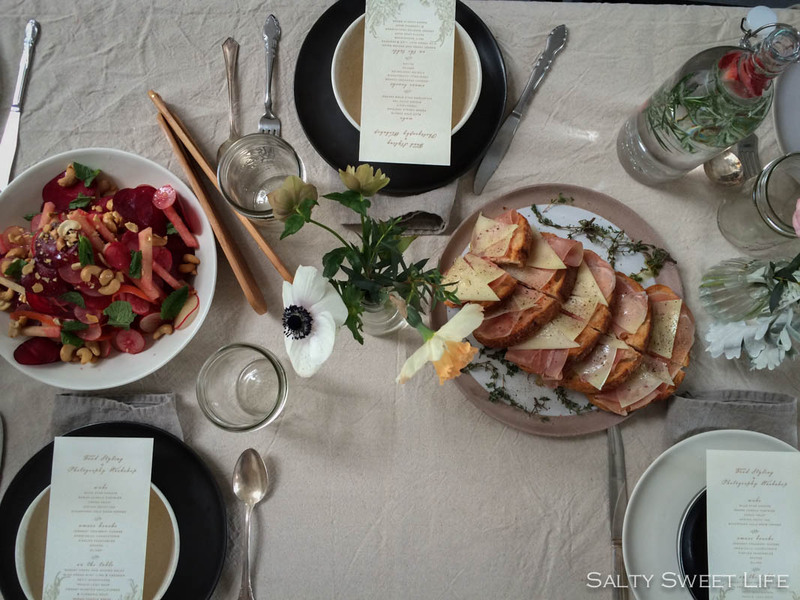 Our lunch was elegantly styled and we had ample opportunity to shoot photos prior to sitting down to eat. 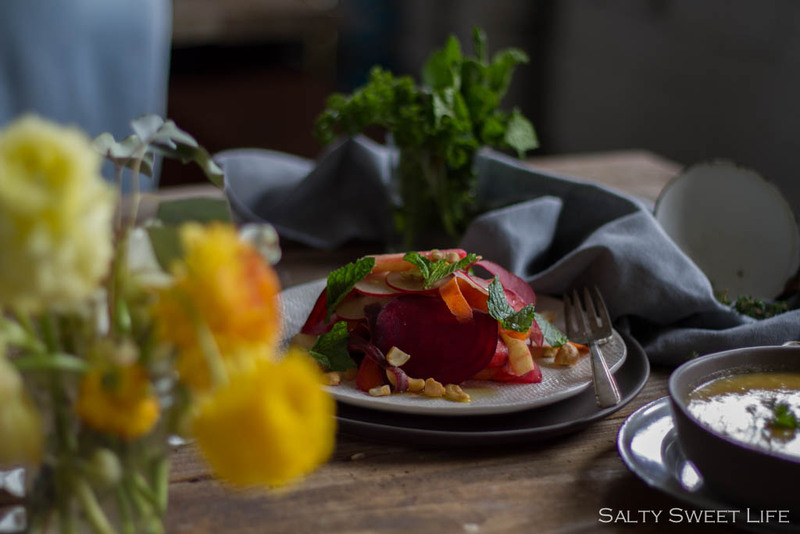 This Raw Shaved Salad with Mint, Walnut Oil, Lime and Cashews appears on Christianne’s blog and it was a riot of color and texture. Also a lovely touch were the bottles of water filled with a sprig of rosemary and a few sliced strawberries. 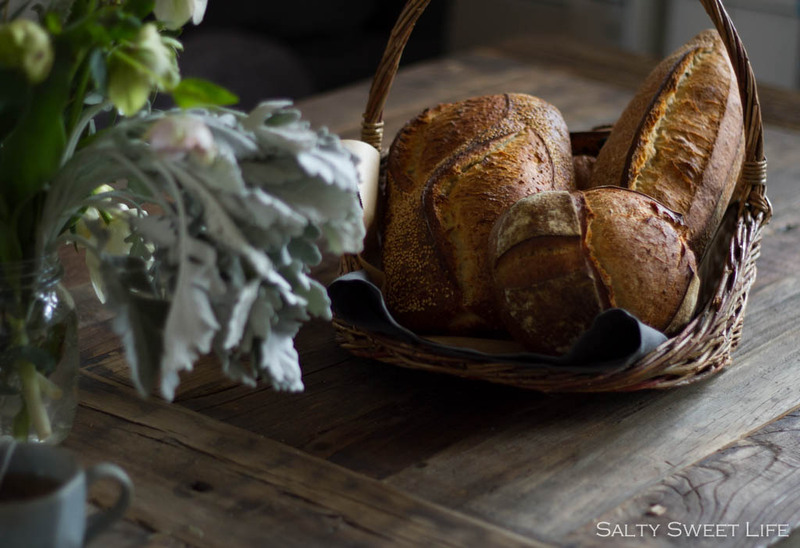 Bread from Roman Candle Baking Co.
Learning to photograph food beautifully is only a small part of attending a workshop. 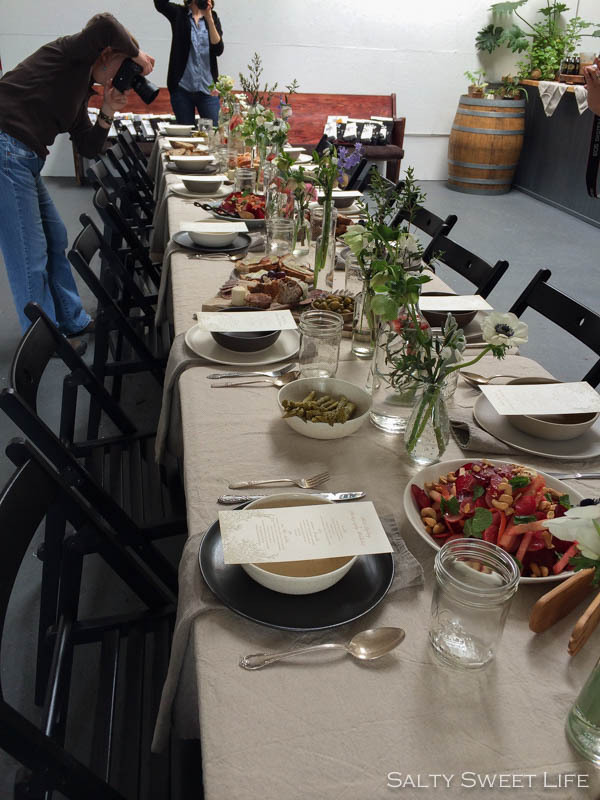 One of the greatest elements about attending food photography workshops is building community with creative people who love and obsess over food. The idea for this recipe came from a conversation over lunch. 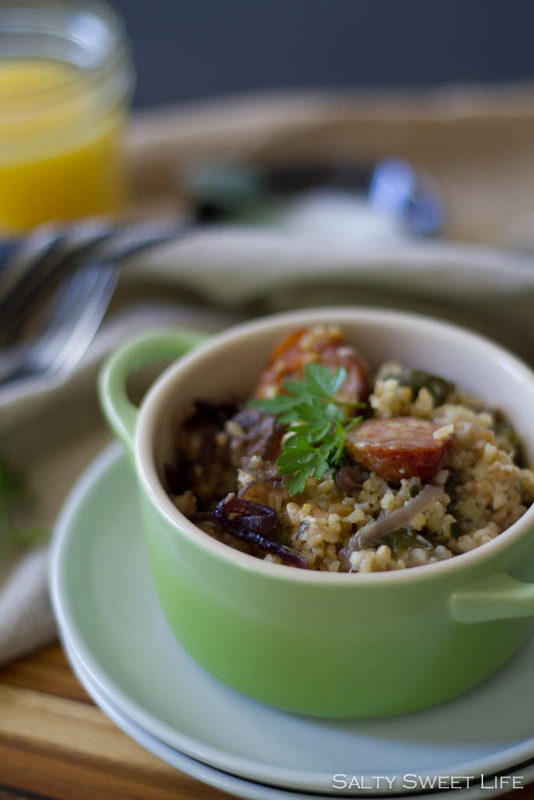 Eva mentioned a savory oatmeal that she had served at a previous food photography workshop and I was completely taken with the idea and couldn’t wait to get home to begin developing the recipe. Oatmeal? with caramelized onions and goat cheese? Why had I never thought of that before? 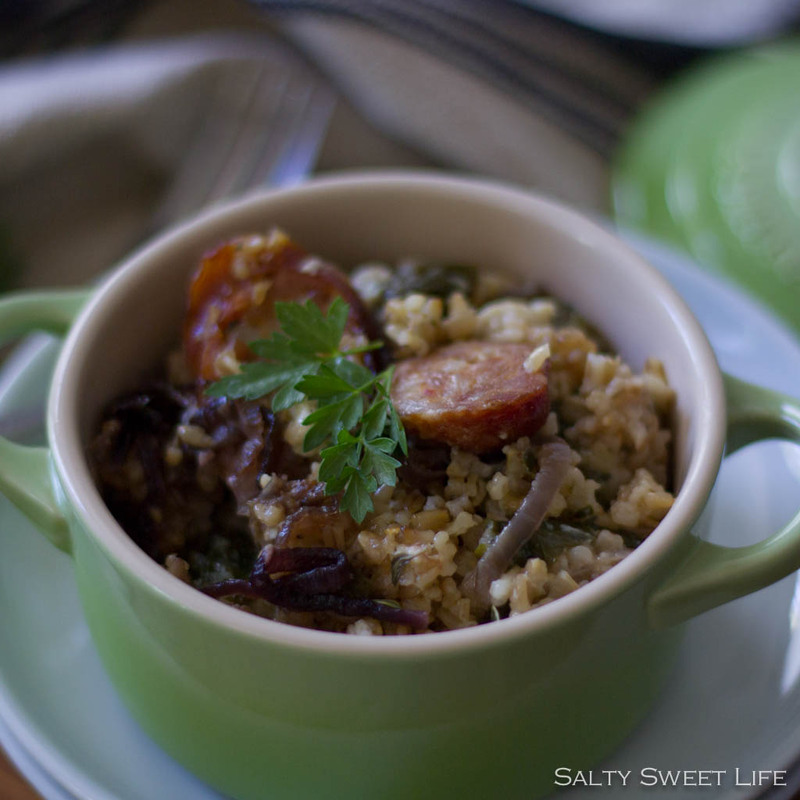 I absolutely loved this sweet baked oatmeal from Alexandra’s Kitchen, so the concept for baked oatmeal was not a new one; however, the idea that oatmeal could have a savory side was. Using the custard base from Alexandra’s recipe as a starting point, I added sweet, caramelized onions, goat cheese, asparagus, crisp beet greens from the garden and cooked italian sausage. As it baked, it filled the kitchen with the aroma of fresh sage and thyme. 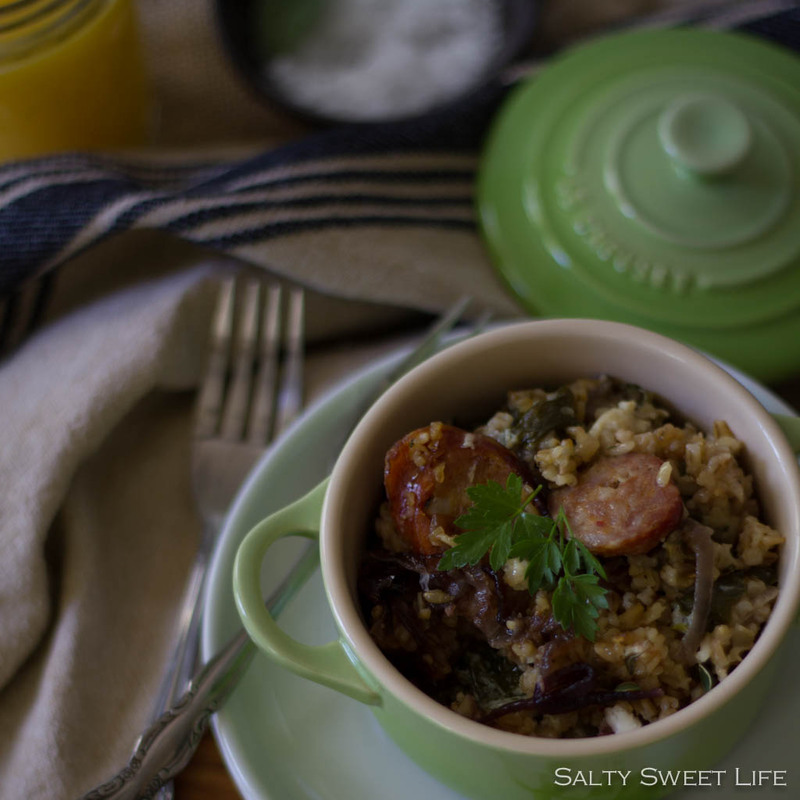 When it emerged, bubbling from the oven, it was no beauty queen (baked oatmeals never are) but it had the rugged handsomeness of a meal that was going to be satisfying in a way that a regular bowl of oatmeal could never quite manage. It was love at first sight. 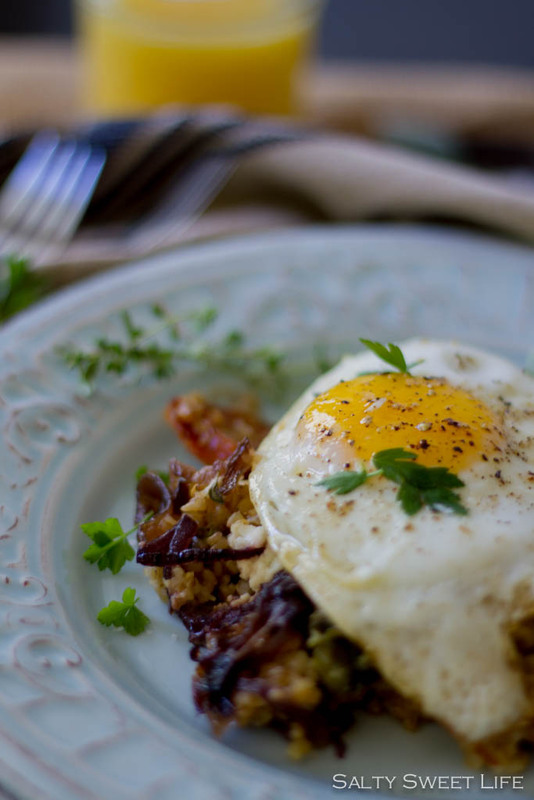 I loved this baked oatmeal topped with a sunny-side-up egg. Think of it as a breakfast casserole–perfect for a weekend brunch. 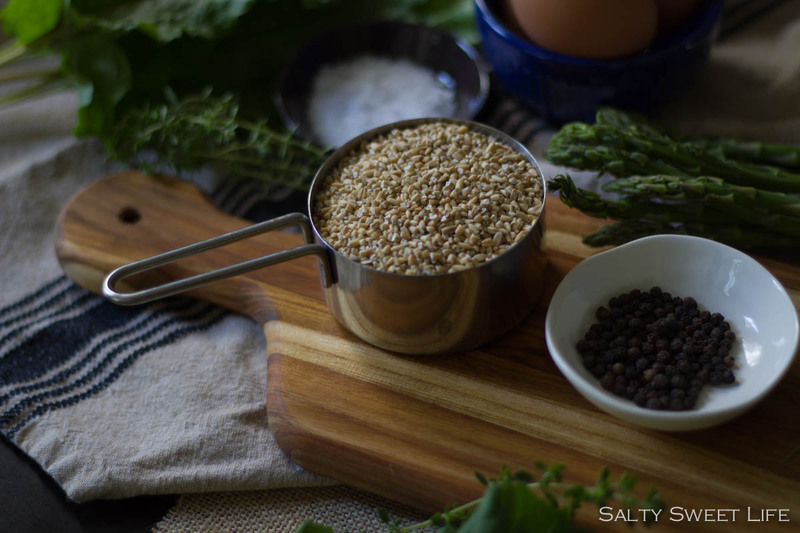 A little decadent and a little virtuous, too (whole grains)! The oatmeal is wonderful piping hot right out of the oven; however, if you have leftovers, it’s easy to reheat in a microwave oven. Just add a tablespoon of water prior to reheating. Heat the oven to 375 degrees. Saute the onion in 1-2 tablespoons of olive oil over medium heat. Cook, stirring occasionally until the onion has caramelized, about 40 minutes. The onion should be dark in color (not burnt) and very sweet. Remove from the heat and allow to cool. 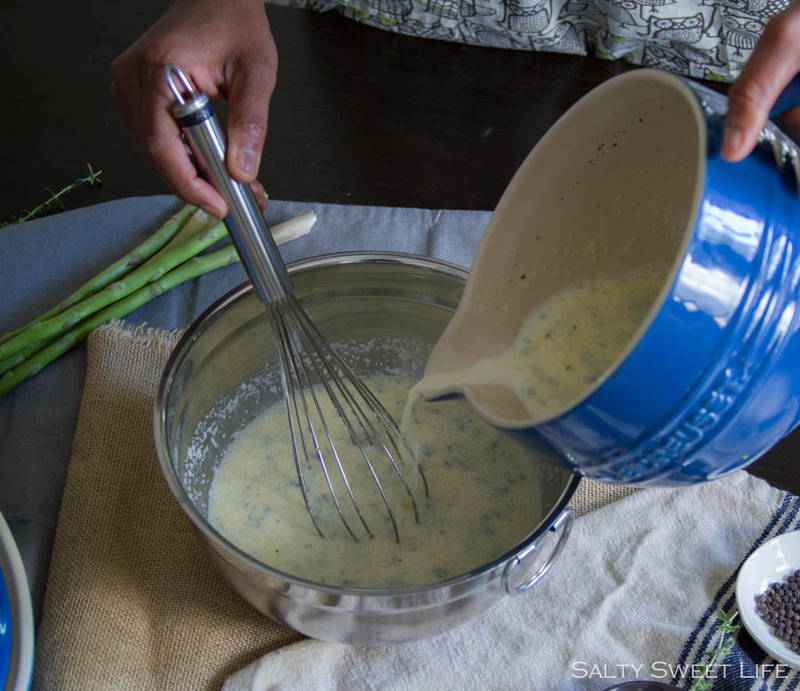 In a medium bowl, whisk together the milk, egg, butter, thyme, sage, salt, pepper and garlic powder. In another bowl, combine the oatmeal with the baking powder. Pour the wet ingredients over the dry ingredients and stir to combine. In a 2 to 3 quart baking dish, add the asparagus, the chopped raw greens, half of the caramelized onions and half of the italian sausage (if using). Sprinkle with half of the goat cheese. Pour the oatmeal mixture into the baking dish. Gently press the mixture with the back of a wooden spoon to submerge the ingredients in the liquid. 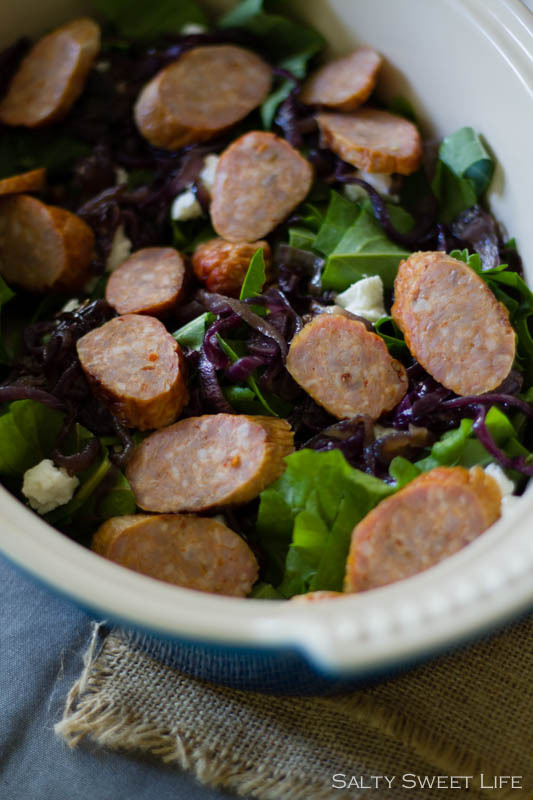 Top with the remainder of the onions, goat cheese and sausage. Cover and bake for 50-55 minutes. You are too sweet Michelle! I miss you! I feel like I haven’t seen you in forever! Your photos are amazing! I just love the moody shots too. I would also love to meet more people in our blogging community but I am sure that will come. Did you see that there is a blogging conference in September in Seattle? It’s on my back burner of considerations. Thank you Julie!! You should definitely attend one. I had not heard about the one in September! What a great time to visit Seattle! I hope you get to go! Such beautiful photos, Tracey! I loved reading about the workshop. 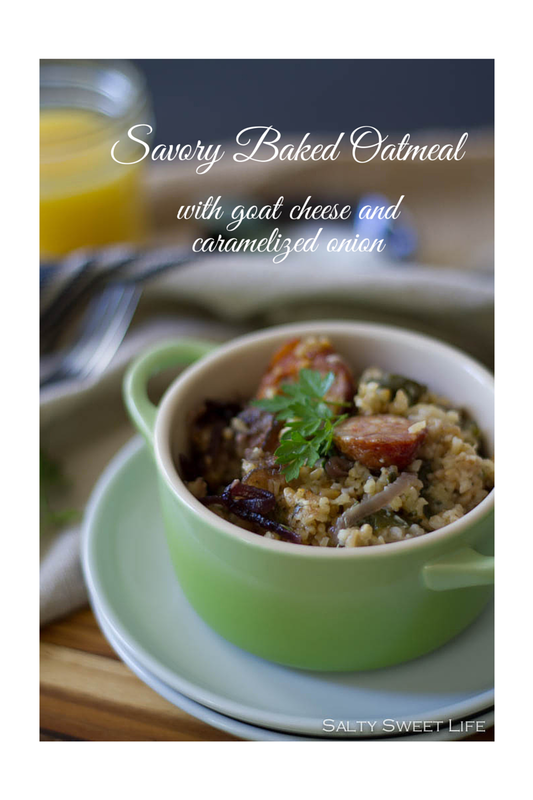 And such a great idea for the savory oatmeal! That photo with the egg is stunning! Thank you, friend! I really appreciate that! I know you can relate to needing to put an egg on an ugly dish! Eggs make everything better! Hi John! It was such an amazing experience. I feel like I learn better with instruction, so these workshops are helpful for me. 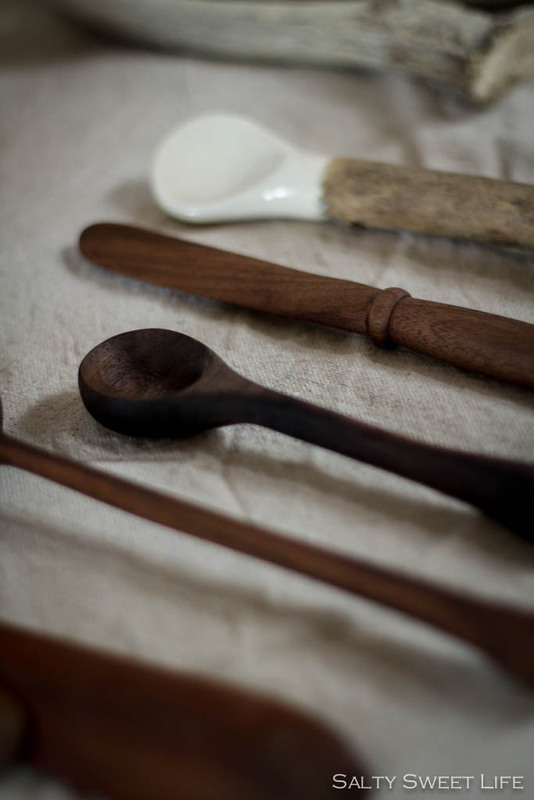 Eva does quite a few workshops throughout the year–I think one in Cape Cod next month. If you go to one, you won’t be disappointed! Thank YOU, Christiann! The workshop was wonderful! So happy to have met you and Eva! Tracy, there is a movie called “Words and Pictures” starring Clive Owen and Juliette Binoche. The story is about an art instructor and an English teacher who form a relationship and a rivalry that ends up with a competition at their school in which students decide whether words or pictures are more important. As a writer myself, I found the movie with its intellectual pros and visual interpretation to be incredibly moving and quite possibly one of the best movies that I have ever seen. In the end, I could not decide which was more important. That said, after reading your post today, I find myself captivated by the seamless blending of your stunningly beautiful photography and so very elegant written words. There is no doubt that your words compliment your photos, but your photos also complement your words. This is perhaps the best blog post that I have ever read. Craig you are too kind! Thank you so much! I think that’s a hard question to answer and one that probably can’t really be answered! That being said I’ve been moved to tears by both. I really appreciate your kind words and I’m so happy you enjoyed the post! Love the soft, moody light in these photos, just beautiful! It sounds like a wonderful workshop. Thank you so much Chez! The light was just perfect. I wish I could have captured it in a bottle and brought it home with me! Thank you Olaiya! It was wonderful meeting you as well and I can’t wait to see your photos as well! Tracey, this workshop looks like a dream! I have been dying to get to one of Eva’s workshops. You have totally gotten the moody look dow…I am so impressed! Thank you so much Ali! 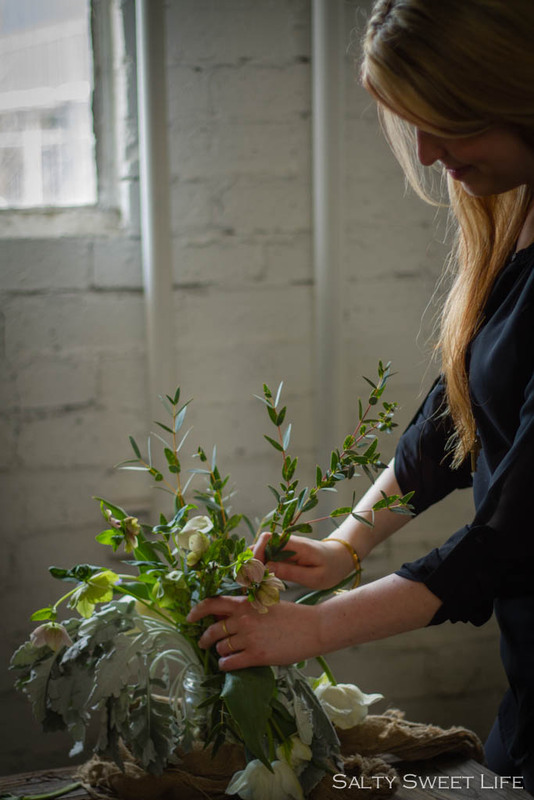 I’m working on the photography part–trying really hard to recreate the workshop environment to my home that doesn’t quite have such luscious light! If you ever get a chance to go to one of Eva and Carey’s workshops on the East coast, you should jump on it! So happy to see you! That is a huge compliment! Thank you so much!